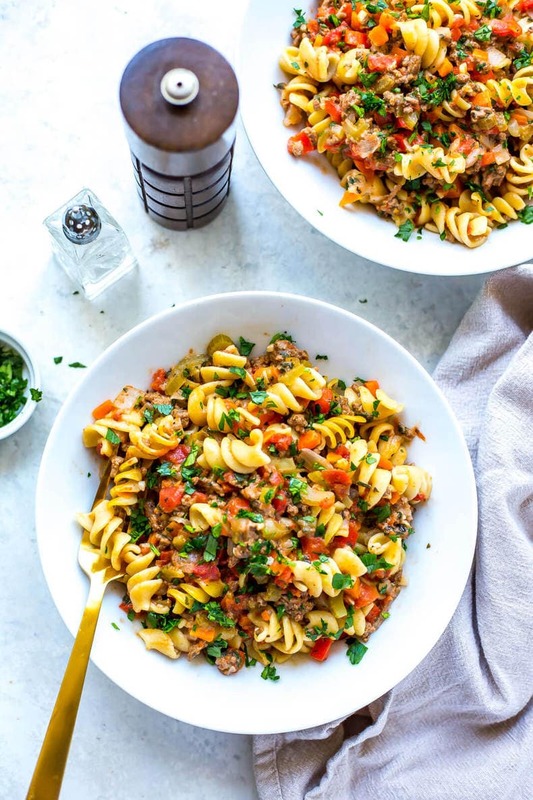 This Healthier Instant Pot Homemade Hamburger Helper is a delicious one-pot spin off on one of your favourite childhood meals. Make it in the pressure cooker or the stovetop, there are instructions listed for both methods! 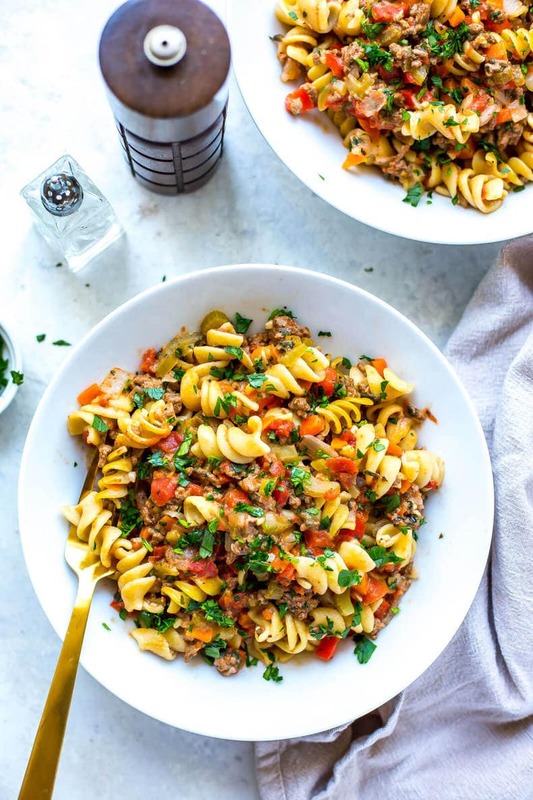 I've just classed up your favourite childhood dinner to make it healthier and more wholesome – I mean, why not end the week with a one pot meal and a little bit of wine, right???? 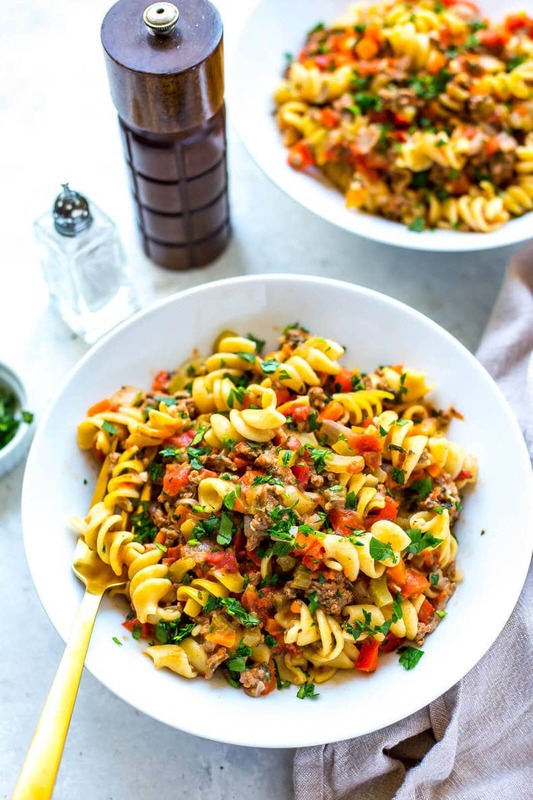 I've just updated this delicious homemade hamburger helper recipe with new photos AND you can now make it in the Instant Pot or on the stovetop – just dump in all your ingredients, set it and forget it. 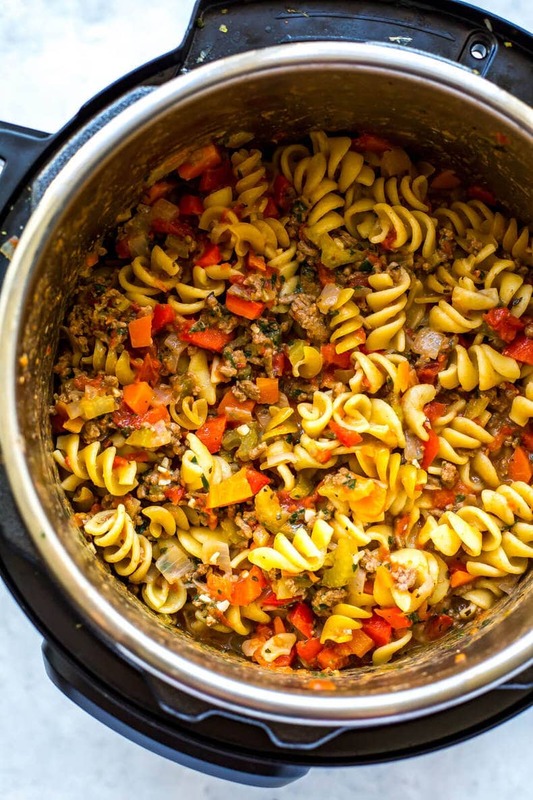 How could dinner get any better than with this cheesy one pot pasta recipe? As a kid, my mom never ever let us have Hamburger Helper. I feel like it's something that I always missed out on as a kid; all my friends would have it every once in a while and I'd see it everywhere but my mom was maybe just TOO good of a mom and always made us homemade meals. Screw her and her refusal to let us eat processed crap hahaha. As I've gotten older I've realized that Hamburger Helper and all those other boxed meals are probably the type of thing you serve your kids when you've just given up for the day and are too tired to function, not necessarily a treat you should look forward to. But I've got a real penchant for junk food. Honestly, I used to look forward to eating TV dinners and ramen noodles as a kid. My mom insisted on homemade and healthy for literally every single meal (except for the odd time she took us to McDonald's when my dad went away on a business trip, or the couple times she made us Kraft Dinner…) so I always felt like the odd one out among my friends. I had to wait for a visit to my grandma's in order to get my fill of crap food (mostly because my grandma couldn't cook LOL). 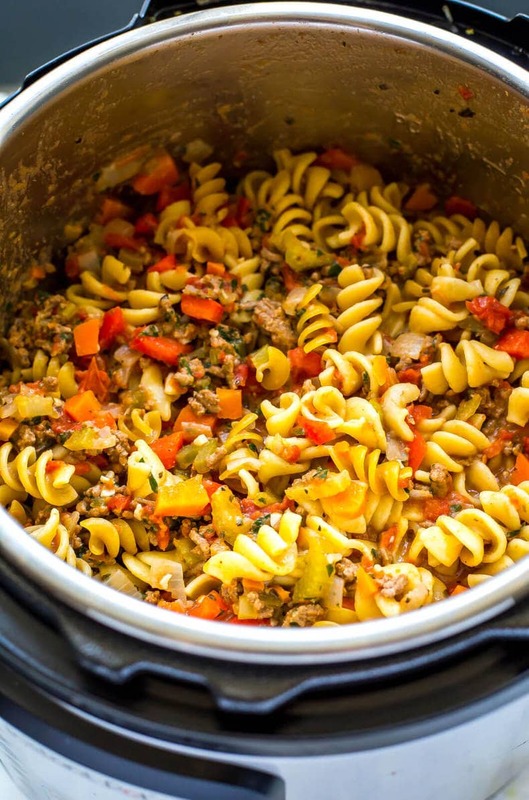 This homemade Hamburger Helper recipe is SUPER easy since it comes together in one pot. You're basically going to brown the beef with some diced up carrots, celery, onions and garlic, then add in some canned diced tomatoes, beef broth and pasta, stirring in some red pepper, cheese and parsley at the end. 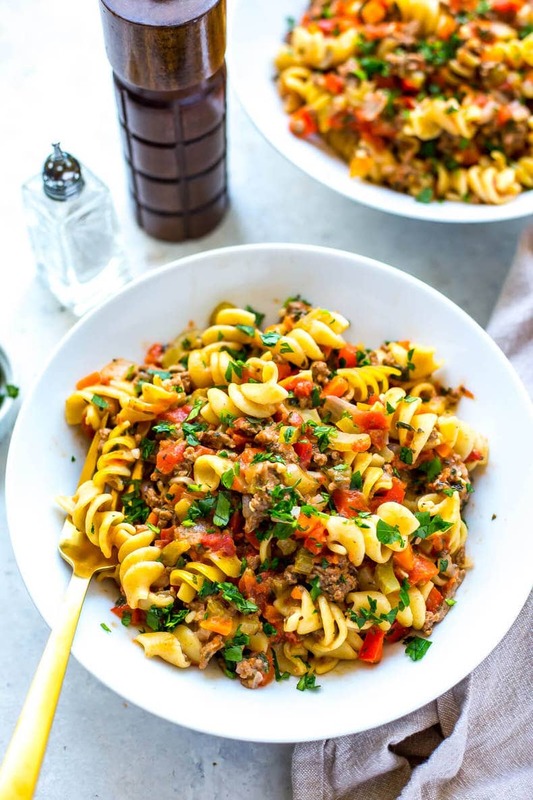 I love to add carrots and celery to this hamburger helper even if the traditional recipe doesn't call for them because they are mildly flavourful veggies that pack in that extra punch of nutrition. Most of the ingredients in this recipe can already be found on hand at home too so no running to the store for last minute items! 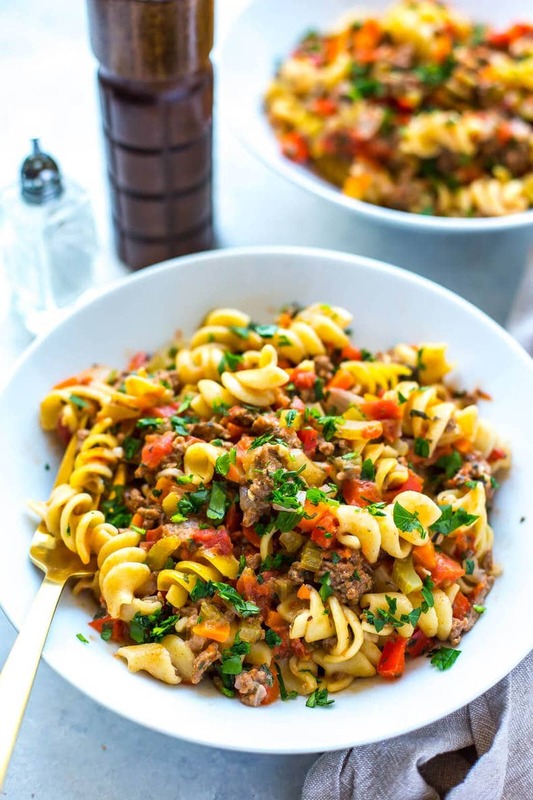 You don't have to worry about all the preservatives that come along with boxed foods like this, and you can still spend a lot less time in the kitchen, making less of a mess at that, because this Healthier Homemade Hamburger Helper is a one-pot recipe. Also, like I love doing with just about everything, I highly recommend you add in ALL the veggies in your fridge. Seriously. I think my vegetable addiction is actually handy in that it often combats my cravings for processed food. I end up spending way too much time in the produce section of the grocery store so it keeps me out of the aisles where all the delicious carb-heavy packages of pre-made foods are calling my name. I made a slightly (okay, much) unhealthier version of this Healthier Homemade Hamburger Helper in the form of a Bacon Jalapeno Cheeseburger Casserole a few years ago if you're looking for a different twist on this one-pot meal. Obviously that one's another one of my faves but it's not exactly something I eat on a regular basis anymore. Darn millennials and their health goals, right? 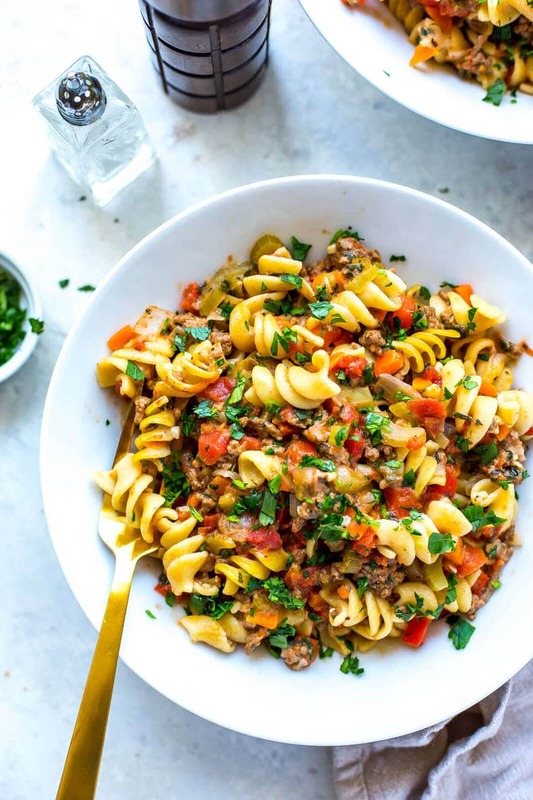 Whether you try it on the stovetop or in the Instant Pot, this Healthier Homemade Hamburger Helper is loaded with extra veggies and you can even sub in some ground chicken or turkey for the ground beef if you're looking to make this cheeseburger casserole extra lean. I decided to try the homemade cheeseburger hamburger helper but I do have a similar Hamburger Helper-style recipe in the form of beef stroganoff in case you like the other version better. 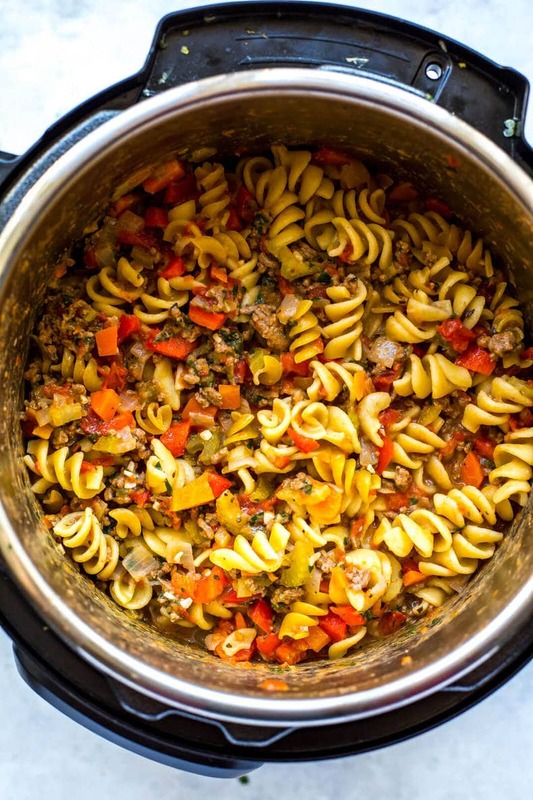 Will you be making this Healthier Homemade Hamburger Helper? I absolutely love remaking my favourite childhood classics, even if I didn't end up trying actual Hamburger Helper until I was 20 years old. OMG. What was I missing out on?! 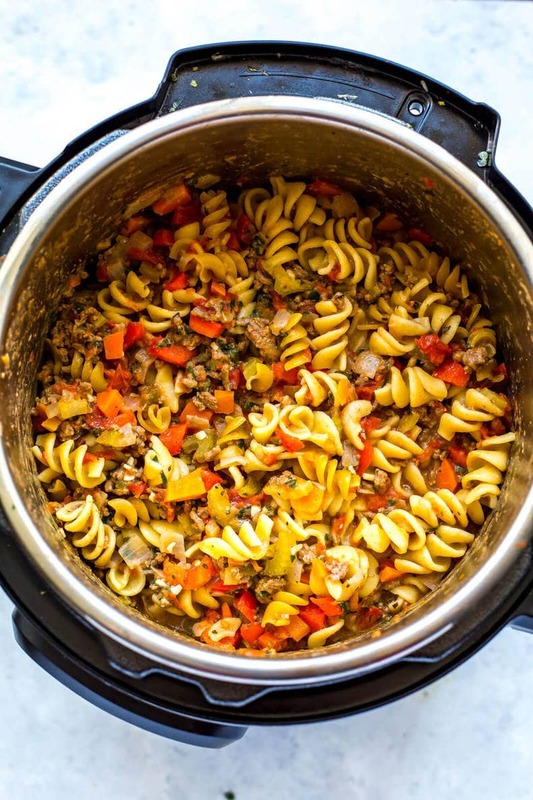 Go ahead, I give you permission to go ahead and make this giant pot of deliciousness. Just be prepared to share it or basically eat it the whole week as leftovers because it makes a TON of food. This is the pasta I use for the Instant Pot version. Grab some Glass meal prep bowls for your leftovers. Solid recipe and I love that it has taken care of cooking dinner for the rest of the week! I’m so happy to hear that Ana!!! Love it! Hey Sandra! Unfortunately I haven’t tested this recipe in a slow cooker before. 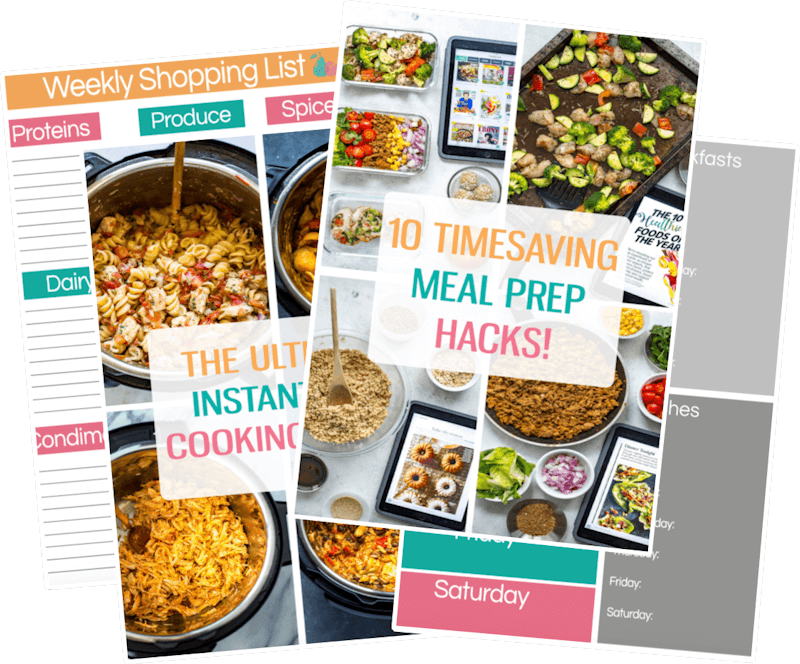 I’m starting to create more Instant Pot recipes that you can also do on the stovetop or in the slow cooker but I can’t adapt all of them to all three methods. If you want to try the stovetop instead of the Instant Pot this recipe should work perfectly. I haven’t tested how pasta would work in the slow cooker but that’s something for me to think about for future recipe development! America’s Test Kitchen had a cookbook called “The complete slow cooker : from appetizers to desserts–400 must-have recipes that cook while you play (or work)” that I think had recipes for the slow cooker which included pasta. I found a copy at my local library. Why is there two different hamburger helper pictures? Is the one in the pot with elbow pasta your recipe as well? It says diced tomatoes in the list of ingredients then crushed tomatoes in the directions. Which is it? I am wondering what happens to the hamburger fat….is it just part of the finished dish? That seems like a lot of extra fat. I suppose you could brown the beef then drain and then add to dish. Hey Julie – you are using extra lean ground beef so there’s less fat. If you’re concerned about the fat levels you can brown ahead of time and drain as you said! Is the amount of pasta correct in the recipe? Does 1 lb of pasta really equal 4.5 cups? Depending on the exact size and shape of the pasta, it can be anywhere from 3-4.5 cups, yes. I do recommend a 1 lb box of pasta is used, but sometimes pasta comes in 2 lb bags so I’ve tried to give an approximate amount in cups as an alternative. Just wanting to check. For the instant pot version, do we need to brown the beef before throwing the rest in? I ask cause I know on another recipe like the chili Mac and cheese, we are to brown the meat before adding the rest. Hey Allie – I’ve done it both ways and it works either way. If you are concerned about draining the fat, you will want to saute first. However, if you’re using extra-lean ground beef this isn’t as much of an issue and the meat will still get cooked through without adding too much extra fat to the dish. You are welcome to either brown ahead of time or just dump and cook. This sounds so good! I have to admit that I used to always have at least 2 boxes of Hamburger Helper in my cabinet for just in case. Sometimes they just came in handy and then you get to a point where you feel you always have to have them around. I started cooking more in the Instant Pot and I have been straying away from the feeling of needing boxed foods for busy nights. I can’t remember the last time I bought Hamburger Helper 🙂 So proud of myself! Don’t get me wrong, I was never a every night boxed meal person. I think that habit would take more for one to break. 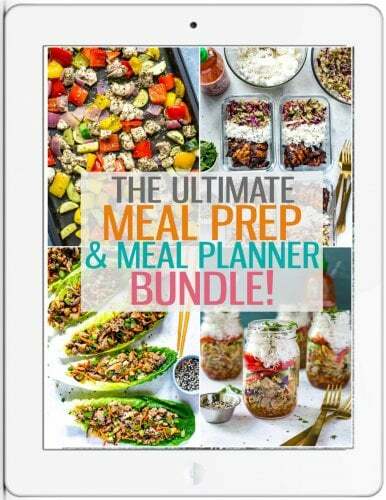 But I was one that it was my go to for busy nights, like my comfort food for those nights. I have almost everything needed for this, so I will definitely be making it very soon!